If you are planning to go camping this summer, here are 20 super clever camping tricks you’ll want to see to make your next camping trip a breeze. My family loves to camp during the summer. It is a great time to slow down and connect without the distractions of everyday life. 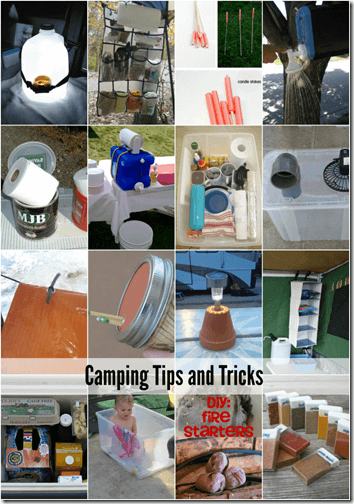 Before your camping trip this summer you are going to want to take a peak at these 20 Camping Tips and Tricks from The Idea Room! I love the fire starter idea! Don’t miss my tips and tricks for Camping with Kids along with a FREE Camping Packlist.